I spent the last few days with my grandmother in the hospital. I find the hospital environment to be such a depressing one, especially when you have to spend long hours there. To keep my mind from drifting to gloomy thoughts, I drew happy little pictures while sitting at my grandmother's bedside. 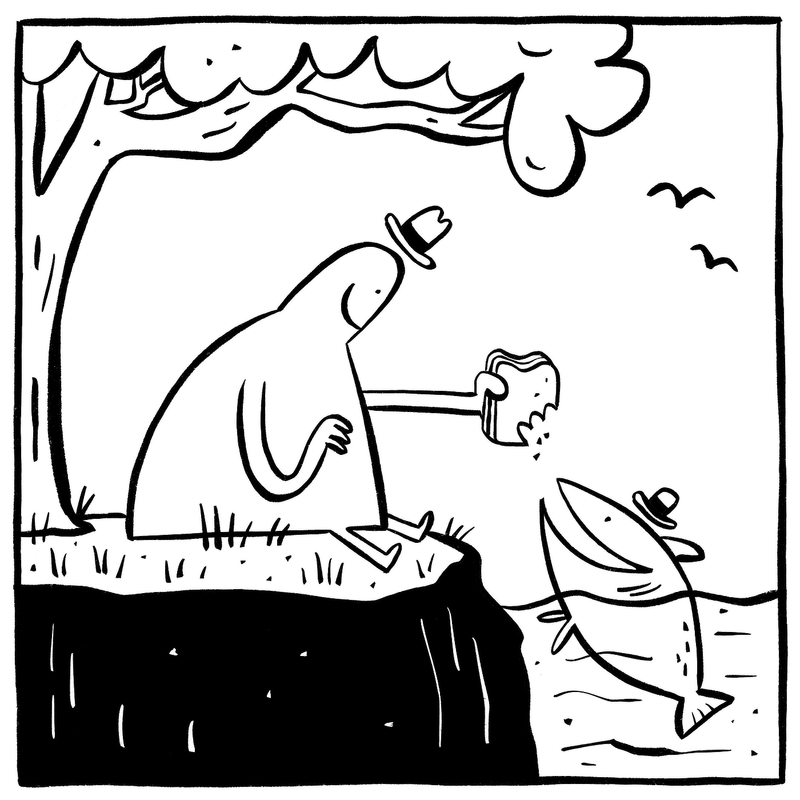 Here's a happy guy feeding a sandwich to a happy fish.